A brand-new map is coming to Call of Duty: Black Ops 4’s battle royale mode, Blackout. Alcatraz is the first post-launch Blackout map coming to Black Ops 4—and it’ll be available on PlayStation 4 tomorrow, April 2. Alcatraz will be a close-quarters battle royale map—it looks pretty small based on the overhead view seen in the trailer. The map will seemingly feature aspects from popular Zombies maps Mob of the Dead and Blood of the Dead, which are both set on Alcatraz Island. 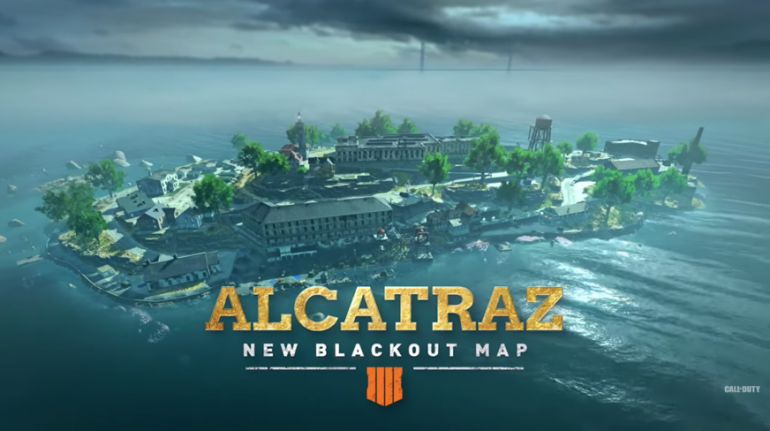 It’s unclear exactly how many players Alcatraz can hold in one game—but it’s probably safe to assume that it’ll be less than the original Blackout map. Treyarch also announced a Blackout free access period that will coincide with the release of Alcatraz tomorrow. Players will have free access to Call of Duty’s battle royale mode from April 2 to 30.